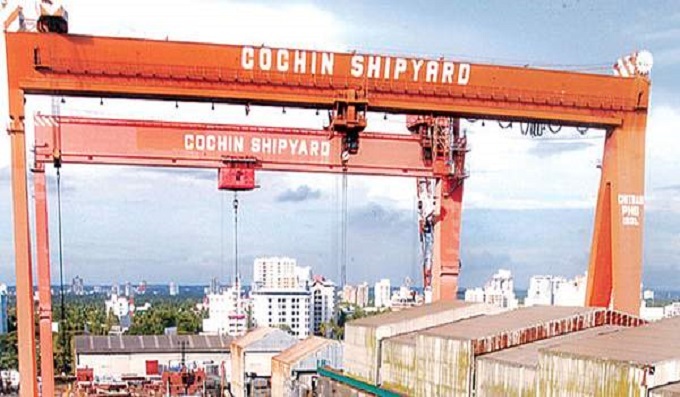 KOCHI: At least five persons died and 11 people were injured in a fire accident at the Cochin Shipyard in Kerala this morning. According to sources in the shipyard, a blast was heard from a docked vessel, Sagar Bhushan, around 10 am. The blast took place in the tank of the ship, which is owned by the Oil and Natural Gas Corporation. The drilling vessel was being repaired at the dry dock of the shipyard. Police sources say for now, the situation at the shipyard in under control. A detailed inquiry will be required to find out what caused the fire and the blast. "Preliminary inquiry suggests that the deaths happened due to intense smoke," police sources said. The shipyard in Kochi -- which started operations in 1978 --is India"s oldest and largest shipbuilding and maintenance facility.